TwinLight Fractional Rejuvenation is a simple 3-step procedure optimized to significantly improve skin smoothness and give it a fresher, healthier look. It is a gentler alternative for treating fine lines and wrinkles with minimal downtime and clean natural results. 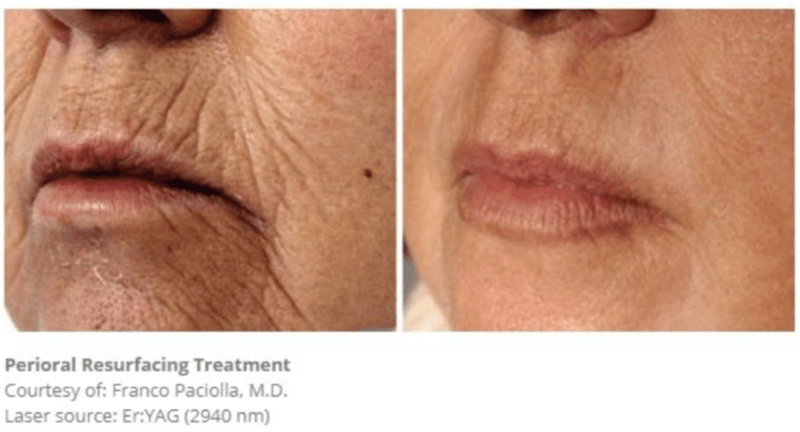 Using fractional light to rejuvenate the skin can produce an effect that is perfectly graded to your patient's expectations, and offers a degree of control and efficacy that allows for highly precise sculpting of the skin. Treatments can extend from light touch-ups to deep collagen remodeling, ideal for patients who want drastic rejuvenation effects, but are not inclined towards aggressive surgical or chemical alternatives. Step 1 - CONDITIONING: An Nd:YAG beam is passed along the surface twice. The first pass provides a short stimulus to the skin, the second pass penetrates the tissue, causing deep FRAC3® heating and conditioning the skin for effective fractional treatment therapy. 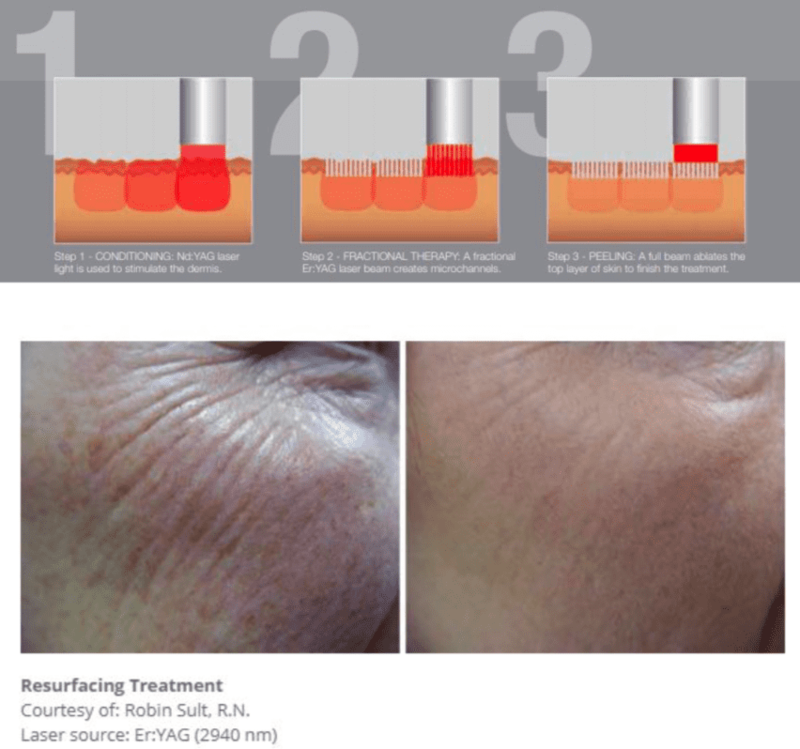 Step 2 - FRACTIONAL THERAPY: Old, worn-out skin is ablated away by a fractional Er:YAG laser. The precise micro ablated channels will be replaced with new, tighter and healthy tissue as the new skin forms. Step 3 - PEELING: The skin is ablated with a light full Er:YAG beam, which finishes the treatment and removes superficial imperfections.